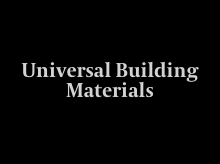 Founded in 1979, UBM supplies specialised building products including door hardware, drainage and plumbing goods, and architectural finishing. All products are targeted at niche segments in the Saudi Arabian construction sector. With its highly trained project specialists and renowned after-sales service, UBM offers a vast range of products tailored to satisfy its clients’ project needs. This investment is managed by Havenvest on behalf of a limited partner.